For discerning U2 fans and cautious apologists — and completists who weren’t warded off with How To Dismantle an Atomic Bomb and No Line on the Horizon — the arrival of a new track from Bono and the boys is met with as much trepidation as excitement. At this point, it’s safe to say U2 will never again write a song rivaling classics like “New Year’s Day,” “Bad,” or “Where the Streets Have No Name,” and they’re probably not going to reinvent their sound in with another innovative, Achtung Baby-worthy make-over. For starters, “Ordinary Love” doesn’t roar to a start with an “Uno, dos, tres, catorce” countoff, and that’s promising. 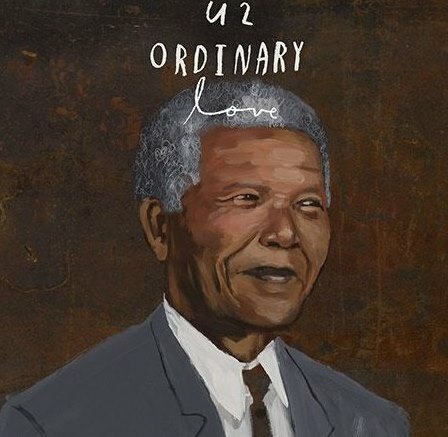 Instead the song begins with some airy atmospherics and a gravelly, yearning Bono crooning high in the mix over a shamelessly adult-contemporary keyboard tone, then tepidly plods along like it was literally written to augment earnestness accompanying a slow-motion montage in a movie trailer. From there, Bono starts aspiring towards the falsetto of the Zoo TV days and Larry Mullen Jr. comes in with a clenched groove while The Edge creeps to the foreground with some palm-muted atmospherics. Two whole minutes go by before we hear a hook. Soon comes a long chorus that’s discernible from the verses only in that it boasts a repeating lyric and melody, and sounds more like an outro to a more committed. Oh wait, the chorus doubles as an outro. Fade to black and we have to immediately start the song over to remember what it sounds like. The experience was pleasant enough, but like most of U2’s non-album singles, this is a pleasant-but-inessential track. It doesn’t make a statement and it’ll probably never see it’s way into a set list, but it would compliment a Blackberry commercial more appropriately than “I’ll Go Crazy If I don’t Go Crazy Tonight” did.